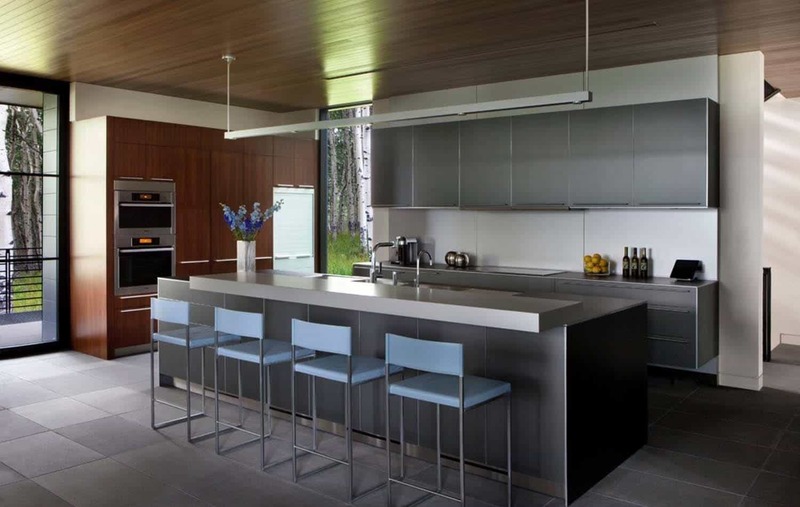 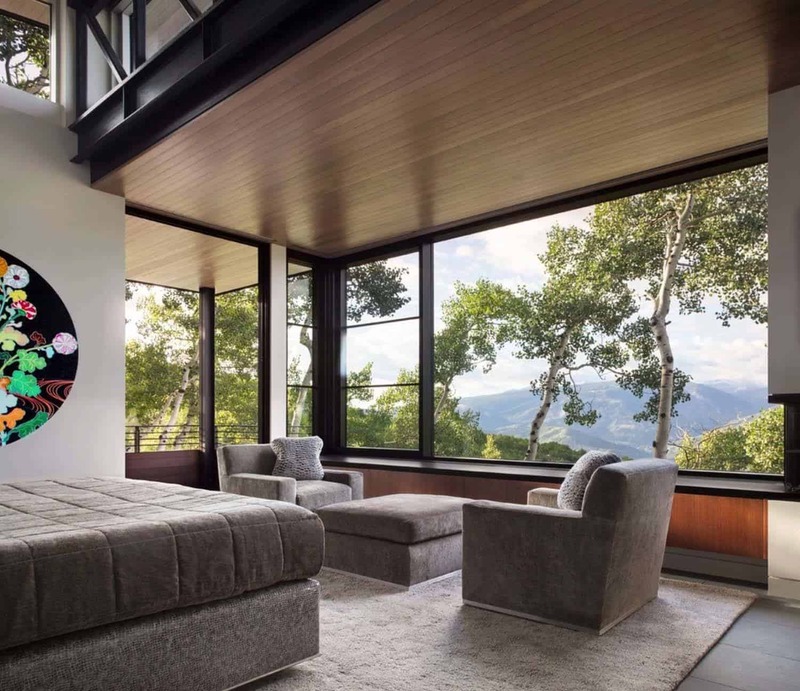 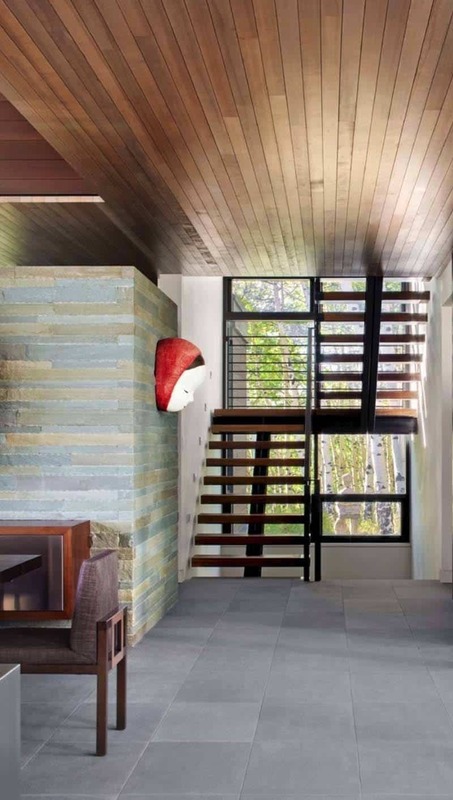 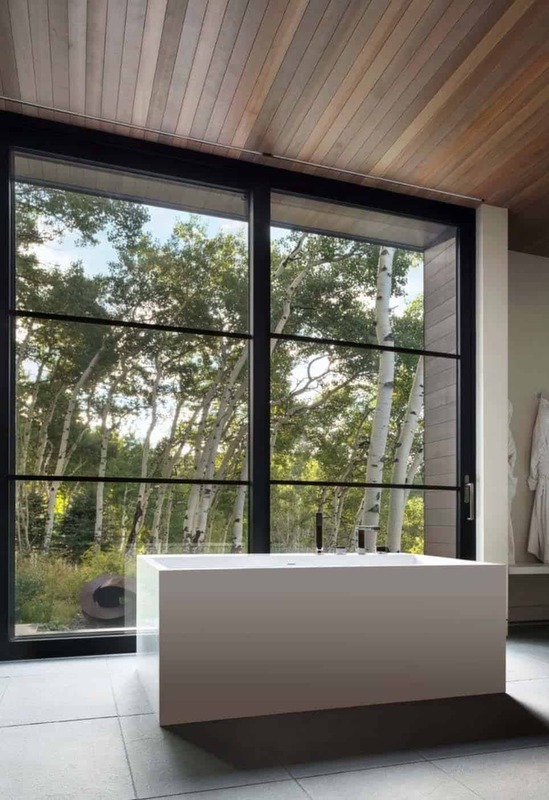 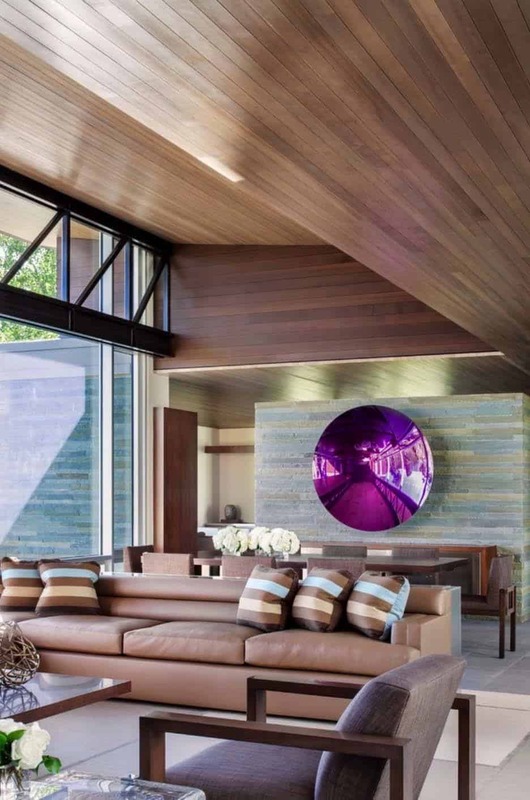 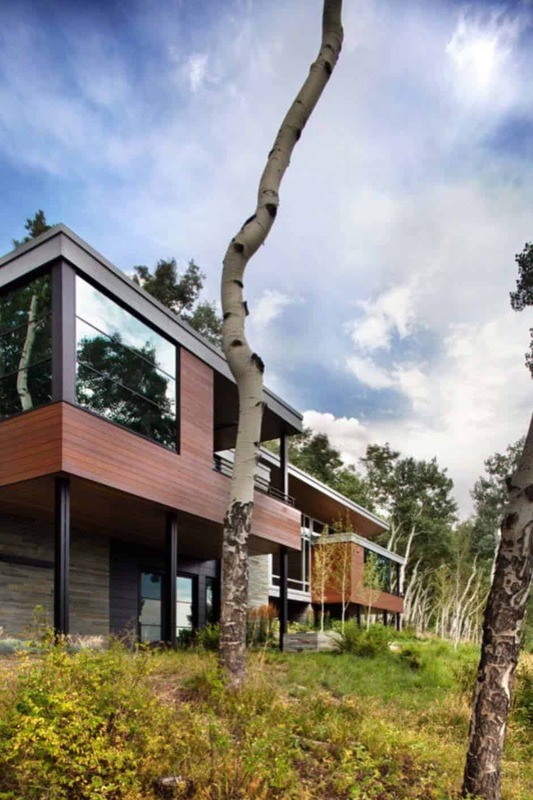 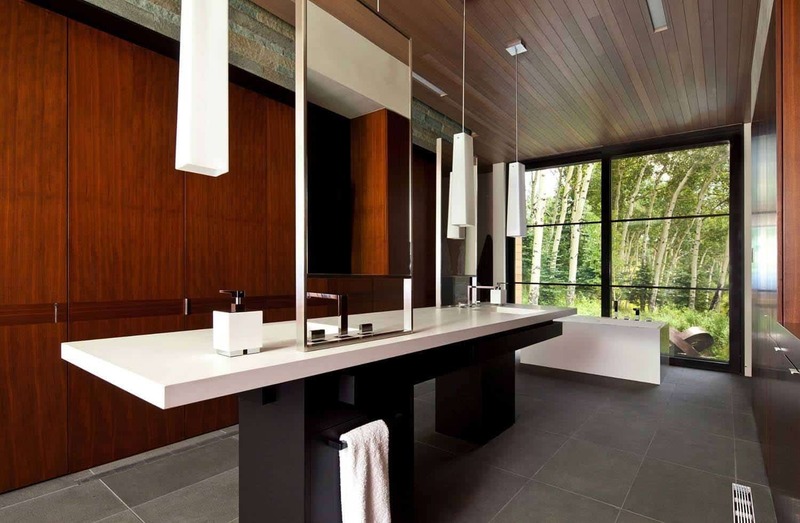 A beautiful contemporary home has been designed by CCY Architects in collaboration with interior designer Douglas Wittels, nestled in a heavily forested site of Avon, Colorado. 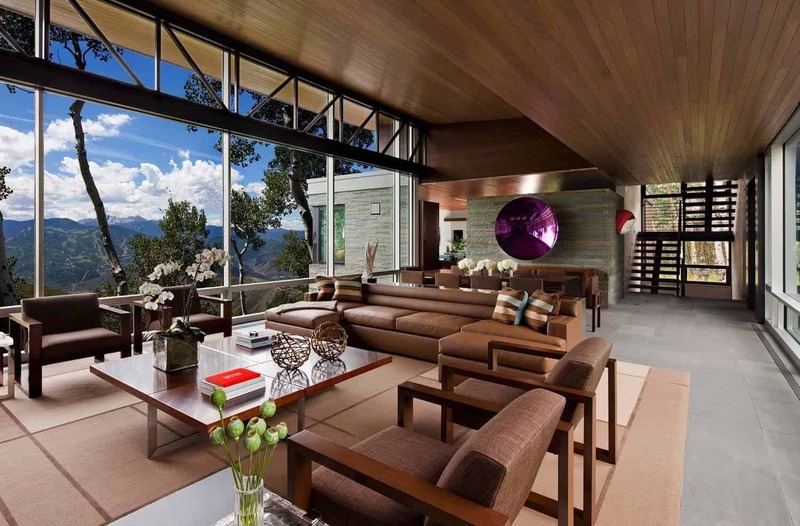 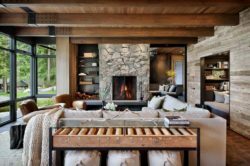 The residence encompasses 7,000 square feet of living spaces, showcasing unparalleled views through extensive glass of not only distant mountain ranges but of a luxurious ski resort. 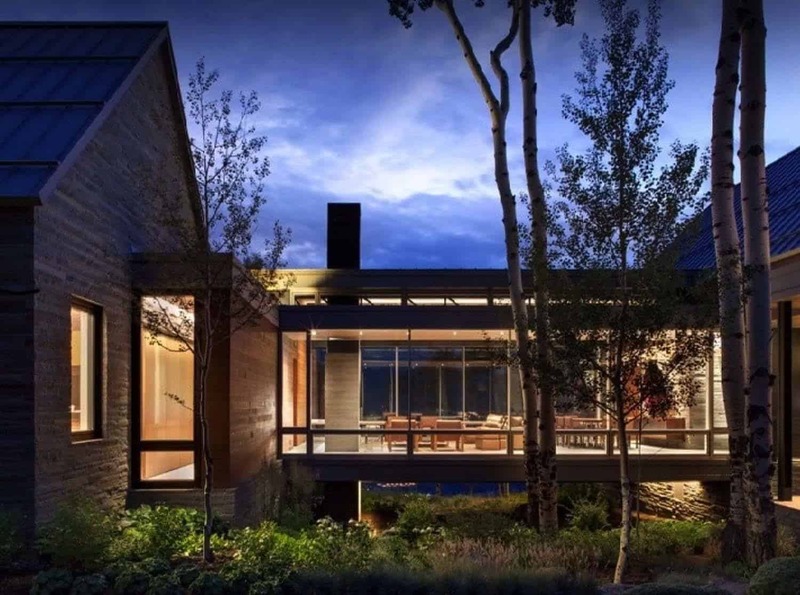 Built in the midst of nine acres of aspen groves, wild sage and a beautiful meadow, this home offers its inhabitants a quite refuge away from the hustle and bustle of city life. 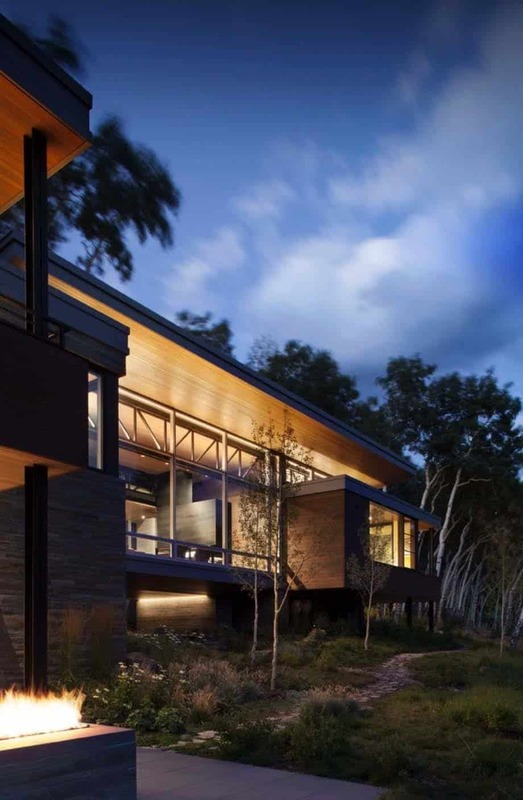 The design challenges of this home was to minimize the impact to the site during construction and to design a center bridge into the structure with gabled roofs on either side. 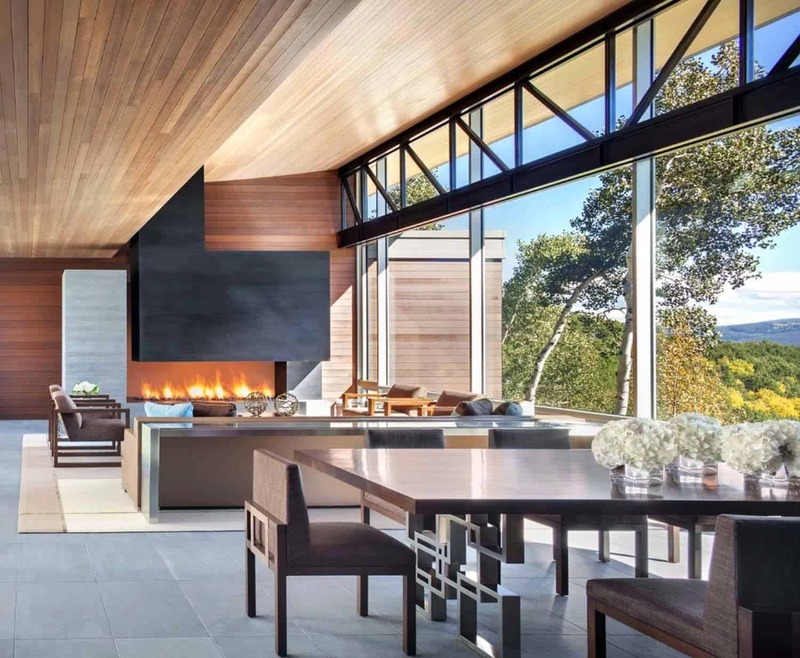 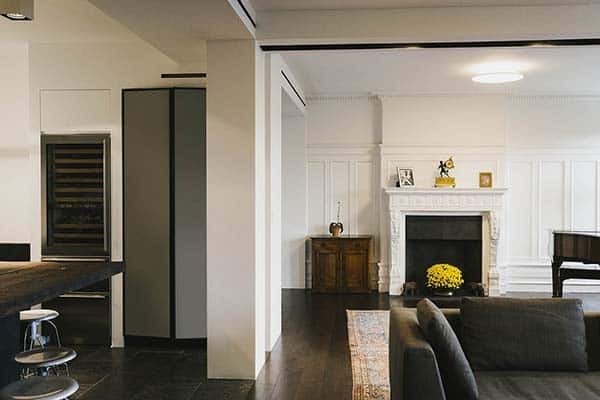 This was done by designing a bridge element that contains the main living areas of the home, the dining and living room. 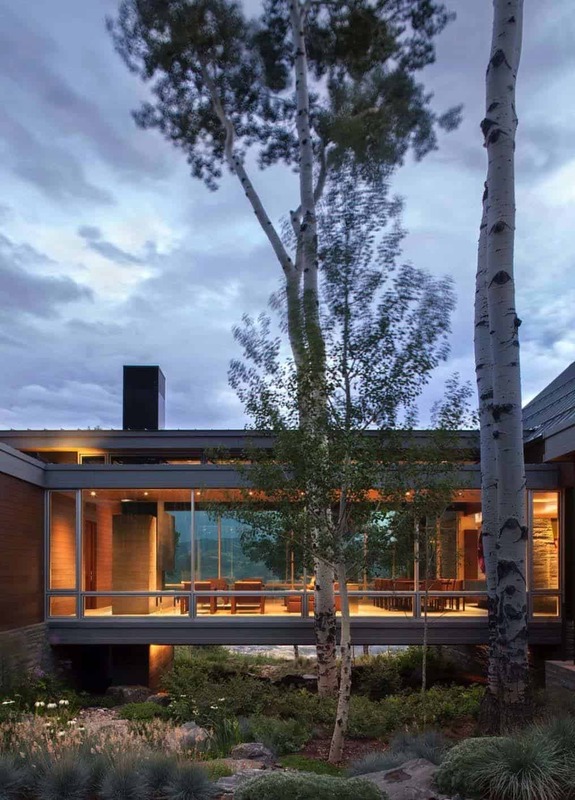 This area creates an almost weightless transparency to this part of the structure, helping to meld the home into its surrounding landscape. 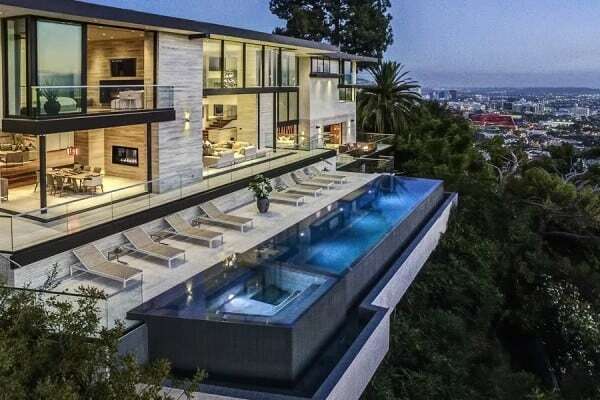 Besides providing the homeowners with incredible views on either side of the glassed-in bridge structure, it also features a cool wing-shaped roof. 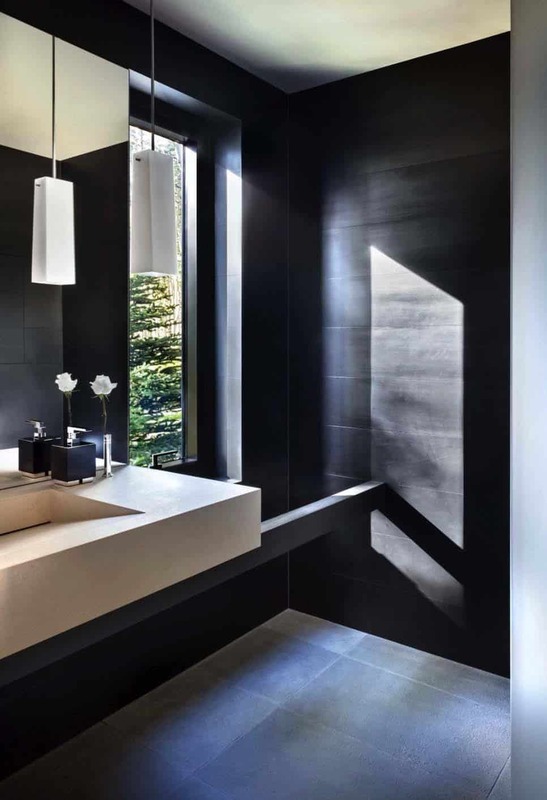 This design was engineered to respond to the sun’s path, where during the winter months, natural light would flood into the interiors and help warm up the spaces. 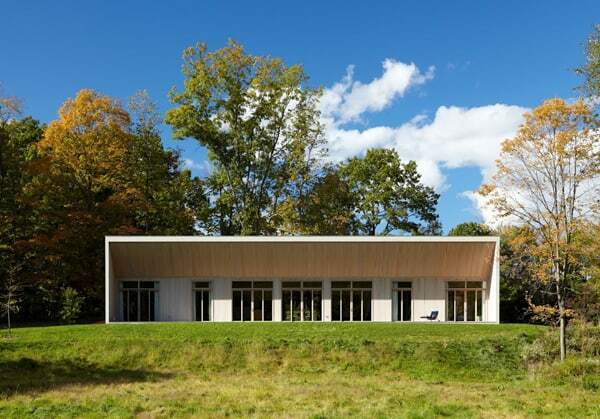 During the summertime this roof structure would help to shade the interiors from direct sunlight. 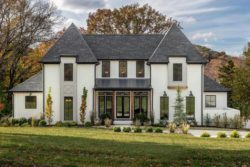 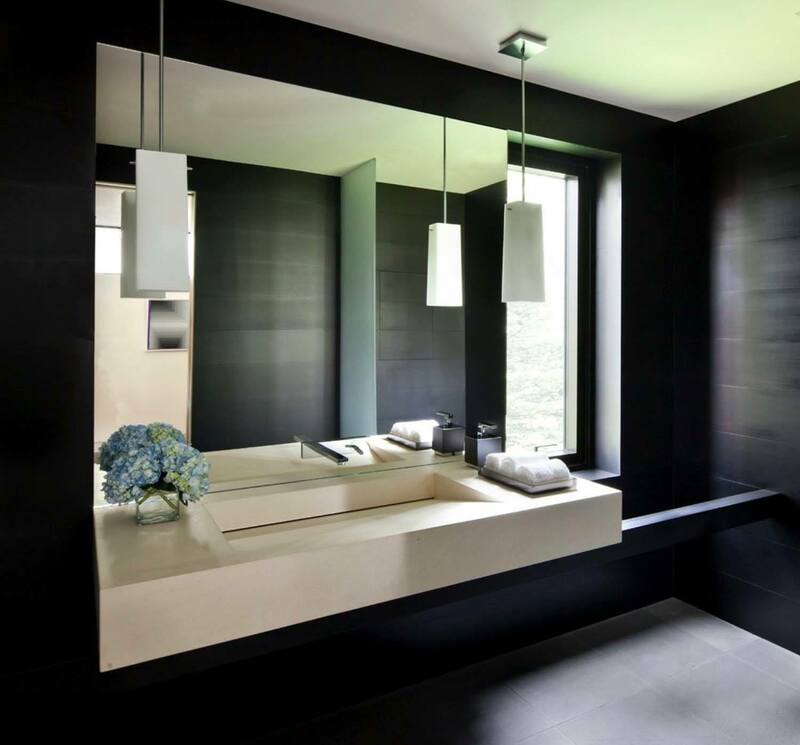 The homeowners lifestyle is that of a more clean, contemporary aesthetic, which was achieved through the design process. 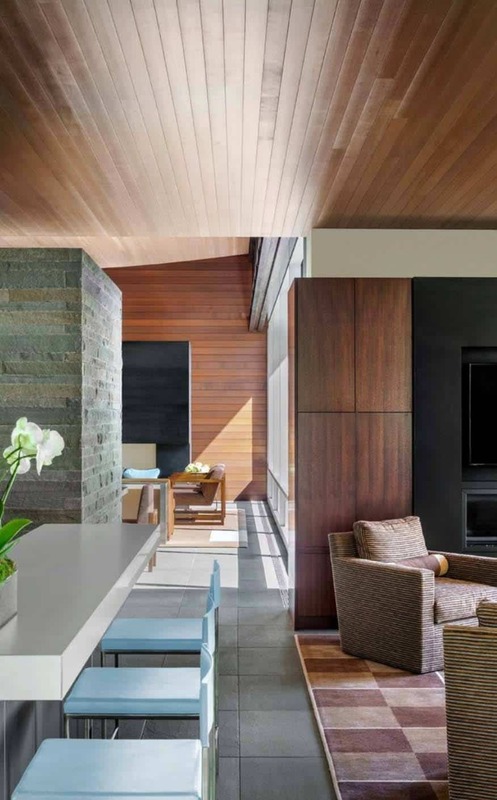 Building elements were incorporated into the design scheme to help complete this look, with such materials as bluestone, steel, cedar and walnut. 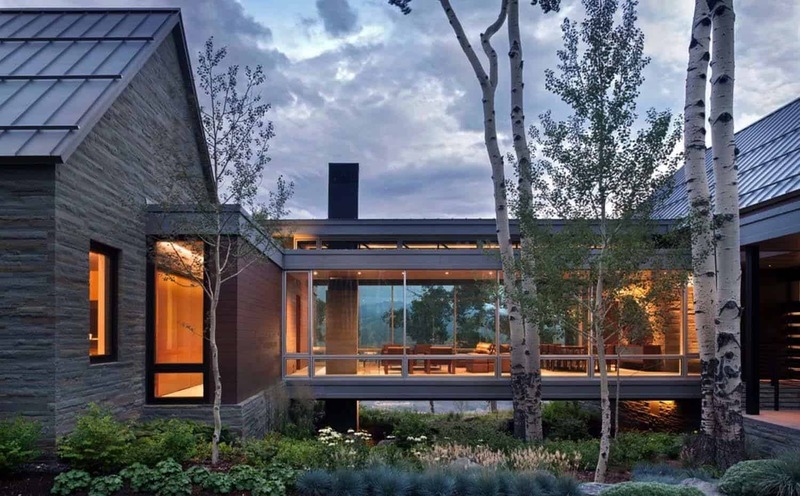 Here on 1 Kindesign we have presented some other unique home designs that feature glass bridges in the structure, take a look at this Rustic-Modern Bridge House in Martis Camp Tahoe or this Spectacular Bridge House in wooded grasslands. 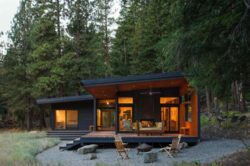 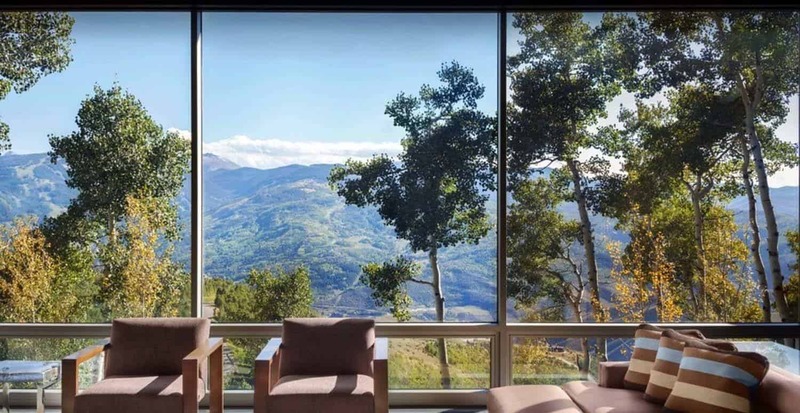 What We Love: The forested location and the mountainous views surrounding this home are simply breathtaking, a peaceful oasis to relax and unwind. 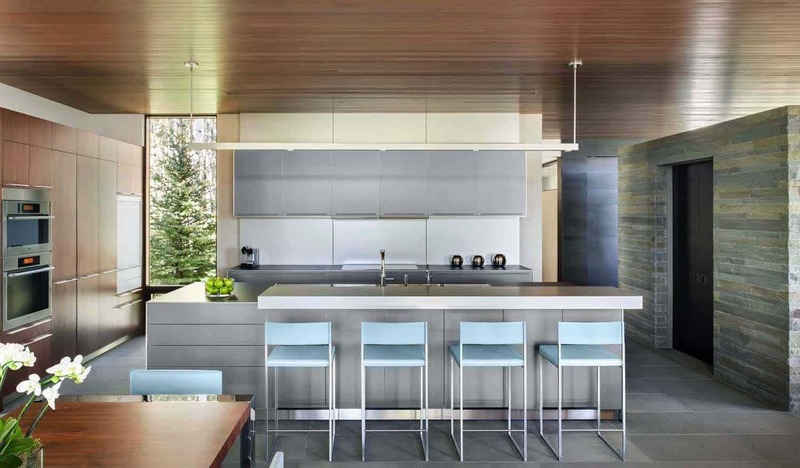 The bridge design provides a nice central area to enjoy time with family and friends while feeling like you are intermingled with the surrounding nature. 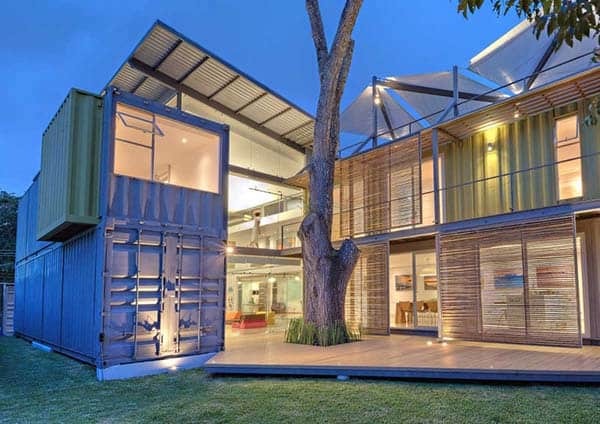 A great concept that really works in this environment… what do you think?